The Dothan Area Young Professionals, through the 20 Under 40 selection committee, presents the 2018 DAYP 20 Under 40. The mission is to recognize the accomplishments and contributions of our outstanding young business leaders, to perpetuate and inspire values of entrepreneurial spirit, personal integrity and community leadership. Nominees must be a member of Dothan Area Young Professionals; work in the Dothan and/or Wiregrass area; demonstrate excellence in pursuit of career goals; and demonstrate civic leadership, philanthropy, and humanitarianism. One nominee will be chosen by the Chamber Selection Committee as “Outstanding Young Professional” and will be awarded a generous prize of $3,000 cash and a weekend stay at 30A provided by Mercedes-Benz of Dothan. 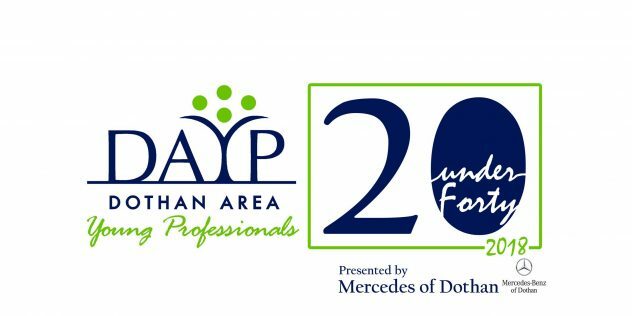 Mercedes-Benz of Dothan will host an event honoring the DAYP 20 Under 40 on Thursday, August 2, at 6 pm.